is one the fastest lens available for Micro Four Thirds or any other lens mount. It is a manual focusing lens manufactured by Cosina under the Voigtlander brand name able to perform in low light and able to deliver a magically creamy bokeh quite useful in portrait photos and video recording. 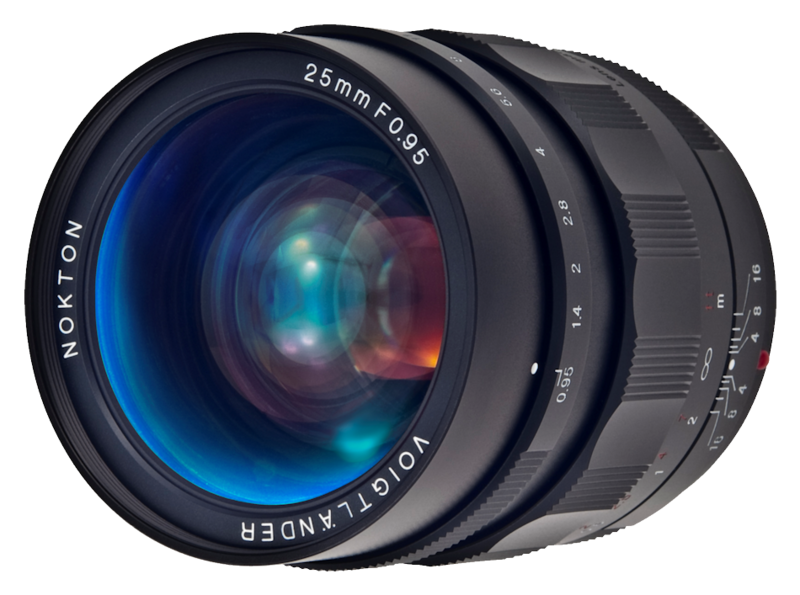 Due to the Micro Four Thirds 2x crop factor when compared to a 35mm full frame sensor the Voigtlander 25mm F0.95 lens is able to deliver an equivalent field of view of 50mm. The lens barrel is of metal which also adds up to the lens weight of 410g but it will also mean the Voigtlander 25mm F0.95 will last a life without any cheap plastic parts being used. The Voigtlander Nokton 25mm F0.95 is a manual focus lens which means that you have to pay a closer attention when focusing in order to make sure you are focusing what you really want to. The lens construction is superb and focusing ring is really smooth and a joy to use in both photographs and video modes making it quite easy to focus where you really want it to. The aperture of the Voigtlander Nokton 25mm F0.95 ranges from F0.95 till F16 with half stop increments. 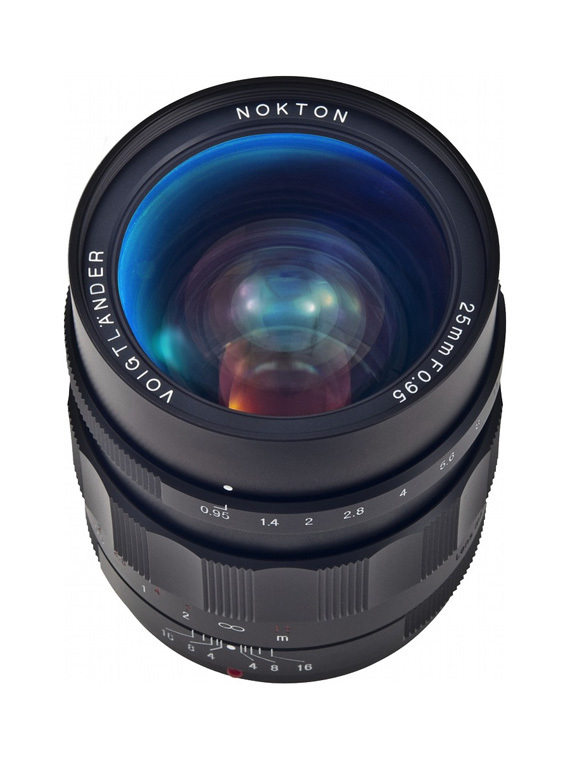 We would like to refer that the lens mount of the Voigtlander Nokton 25mm F0.95 is native Micro Four Thirds but the photos will not have the EXIF data. Due to its fast aperture it is not expected for the Voigtlander Nokton 25mm F0.95 to be tack sharp in all stops range, actually its sweetest spot of sharpness is at around F5.6. Wide open at an aperture of F0.95 the Voigtlander Nokton 25mm F0.95 does render some purple fringing that remains till F2.0 but that can always be corrected in post processing being quite easy if you use for instance Adobe Lightroom. Wide open at F0.95 the Voigtlander Nokton 25mm F0.95 is very creamy with only a small part of the photo in focus. Closing down aperture results start to improve and the most pleasing results to human eye are at around F5.6. If you have a micro four thirds camera and you are looking for a fast lens, with good built quality, small and compact for its construction, with a small focusing distance (0.17 m or 17 cm), a creamy bokeh then the Voigtlander Nokton 25mm F0.95 is the lens you are looking for.